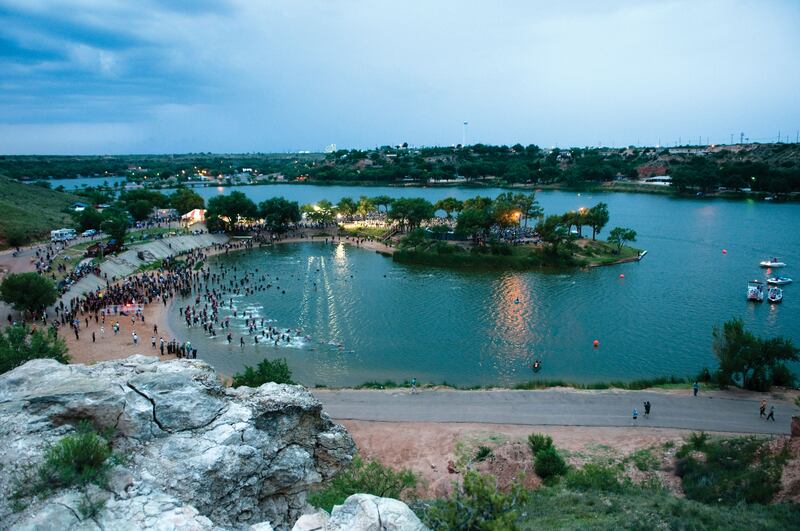 Due to Lubbock’s great Texas location, it’s a popular destination year-round for outdoor attractions and events. Its rich, West Texas history is portrayed through attractions that teach about ranching and cowboys, and the area is also home to some of the best nature spots for wildlife viewing or hiking in the region. If you want to tee off at a golf course, swim in a beautiful lake, or learn the art of leather stamping at a unique event, you need to head to Lubbock. Here are some of the top things you can do outside. Enjoy the best of the West Texas weather at Buffalo Springs Lake, a scenic find in Lubbock. Surrounding the lake are several campsites, fishing docks, nature trails and picnic shelters, and visitors can bring their own wakeboard, fishing boats or jet skis for a day of water adventures. The lake also features a small golf course and relaxing beaches. Guests who wish to explore more of Lubbock’s outdoor environment and some of its wildlife can embark on a nature hike and see local animals like deer, foxes, rabbits and birds. Lubbock is home to some of the best golf courses in the state. Although there are a handful of courses to choose from, you have to check out The Rawls Course at Texas Tech University. Designed by renowned architect Tom Doak, the course has received accolades including Golfweek Magazine’s No. 2 Best Course you can Play in Texas for 2013 and No. 2 University Golf Course in America for 2013, as well as Golf Digest’s No. 2 New Affordable Public Golf Course in the U.S.
Golfers can book reservations in advance and swing by Jerry’s Grill for a pre-game breakfast or hearty lunch. Other popular golf courses include the Stone Gate Golf Course, Reese Golf Course and Meadowbrook Golf Course. When it comes to exploring Lubbock outdoors, there are many venues to choose from. The National Ranching Heritage Center features both indoor and outdoor exhibits of artifacts and cowboy memorabilia dating back to the 1700s. Head outside and see a wild west set up featuring 16 acres of barns, bunkhouses, dugouts, windmills, blacksmith shops and ranching structures to get an authentic experience. Lubbock Lake National Historic Landmark is another great place to spend your day outdoors. Hailed by Smithsonian Magazine as one of the top five places to see early evidence of first Americans, Lubbock Lake is an archaeological marvel with fossils and 12,000-year-old evidence from the ancient people of the Southern High Plains. 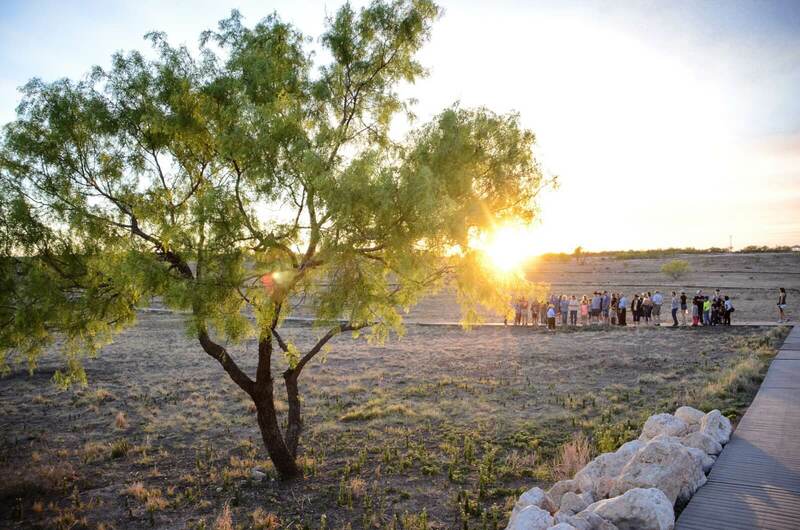 Special events include night hikes, where visitors can go on a tour led by a guide to learn about the history unearthed at the site and check out the wildlife, all while experiencing a glorious West Texas sunset. Another special event, Archaeology in Action, gives visitors the chance to interact with and observe excavators and lab crews as they work, an experience not usually open to the public. For a fun night out, take a walk back in time by catching a flick at Stars and Stripes Drive-In Theatre. Guests can pull up in the parking lot to see a giant outdoor screen and change the radio station to tune in with the filming. Apple Country at Hi-Plains Orchards, in nearby Idalou, is another place to enjoy the outdoors where you can go apple picking, join a hayride that passes 6,000 apple trees and taste impressive samples of apple products. During its annual spring event, breakfast is served all day for attendees to try out the apple pancakes and sausages. Other delicious meals to try out are the German Apple Cake and apple butter. 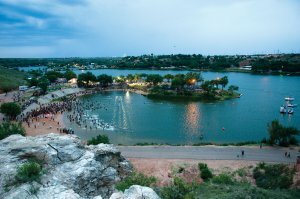 Lubbock hosts a number of fun, outdoor events every year. When you want to hang out under the stars during the summer, head over to the Moonlight Musicals Amphitheater in Mackenzie Park for the Lubbock Moonlight Musicals, which features shows like “Mary Poppins,” “Cats” and “The Little Mermaid.” Guests will enjoy the performance full of singing, dancing and well-known characters. Bring the kids; Lubbock Moonlight Musicals is dedicated to entertaining your little ones. Ranch Day is one of the most popular outdoor events held at the National Ranching Heritage Center every April. 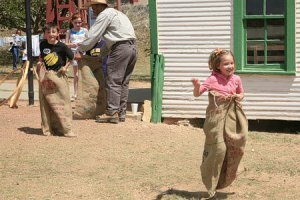 Families are invited to visit the ranch and partake in traditional games of the West like a potato sack race and horseshoe throwing. Various arts and crafts vendors will help guests learn the art of leather stamping, “paint” cattle branding, lassoing and more. Attendees are encouraged to dress up in their best Western attire and enjoy some of the homemade meals on the premises like ice cream, vanilla wafers and barbecue. Check out our list of more of the top annual events in Lubbock here, and see more of the great things you can do outdoors year-round in Lubbock here.